Posted March 13th, 2015 by dogkeeper & filed under Pilfering Pooches, Submitted. 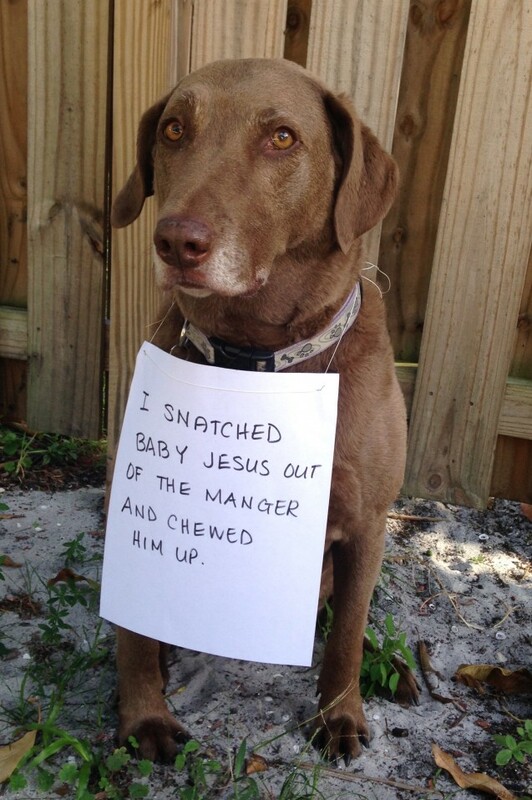 I snatched baby Jesus out of the manger and chewed him up. 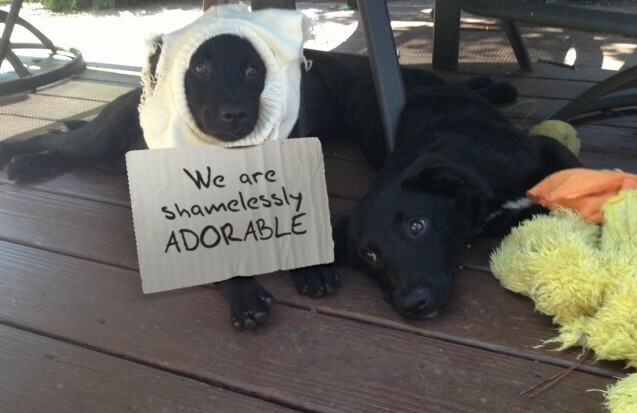 Posted June 21st, 2013 by & filed under Adoptable Fridays, Double Trouble, Pilfering Pooches, Submitted. These beautiful Labrador /Chesapeake Bay retriever girls are about 3 months old and perfect in every way. They’re available from Atlanta Lab Rescue in Atlanta, GA. They both love people and get along wonderfully with other dogs and cats. They are incredibly smart, housebroken, and will soon start to learn basic commands. Betty Boop is a bit more adventurous than her sister and will jump right into whatever seems like fun; Curly Sue tends to think before she leaps. Betty Boop will probably grow to be about 45lbs; Curly Sue is smaller so will be less than 40lbs when fully grown. The only thing they like more than playing is snuggling-up on the sofa with their foster mom. They are both full of puppy-joy and are guaranteed to bring lots of smiles to whoever is lucky enough adopt them. More information could be found here. Posted January 25th, 2013 by & filed under Adoptable Fridays, Submitted. Myles is a beautiful two year-old chocolate lab rescued from a terrible setting. He lives in San Diego, CA. After they had fallen in love with him, shelter workers tearfully described a fracture in one of his back legs that appeared to be 6 – 9 months old and had healed incorrectly. Chesapeake Bay Retriever Relief & Rescue stepped in and a caring vet performed surgery to correct the rotation and put the pieces of his bones back together much like a jigsaw puzzle. Can you help Myles get to his forever home, or help one of the many big-hearted retrievers just like him? He is not ashamed to beg you! Here is his profile. 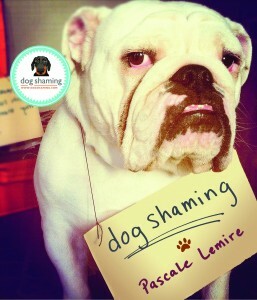 Posted January 11th, 2013 by & filed under Adoptable Fridays, Submitted. 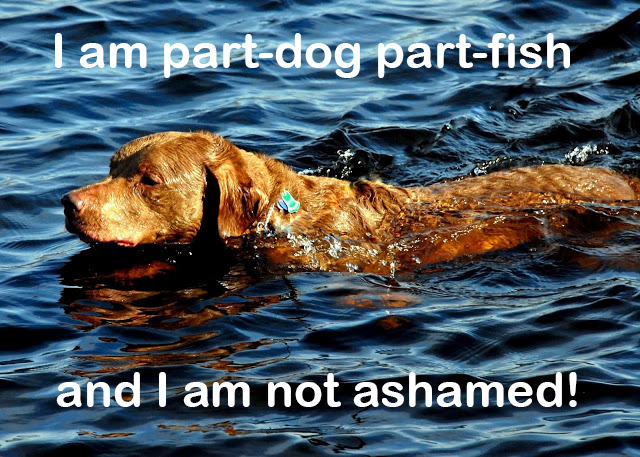 Sir Duke is 100% Chesapeake Bay Retriever, loyal, loving, and intelligent from Hanson, MA. 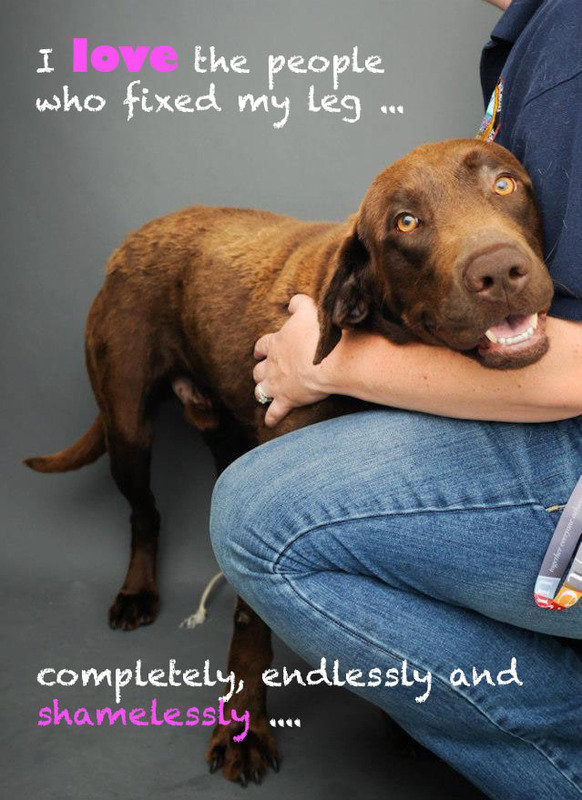 He is being adopted through the Chesapeake Bay Retriever Relief & Rescue. Duke is looking for a home who will be dedicated to helping him the rest of the way to a “Great Dog” status, which he IS sooo capable of!!! To read more about Duke, click here.